*note that this is the only HDR enhanced photograph of the gemstone while all other photos are without image enhancement. * 9/24/17 This rare gem has been sold and is no longer available. To inquire if a similar gem is or may become available please click here or register your request here for fastest response. Thank you. 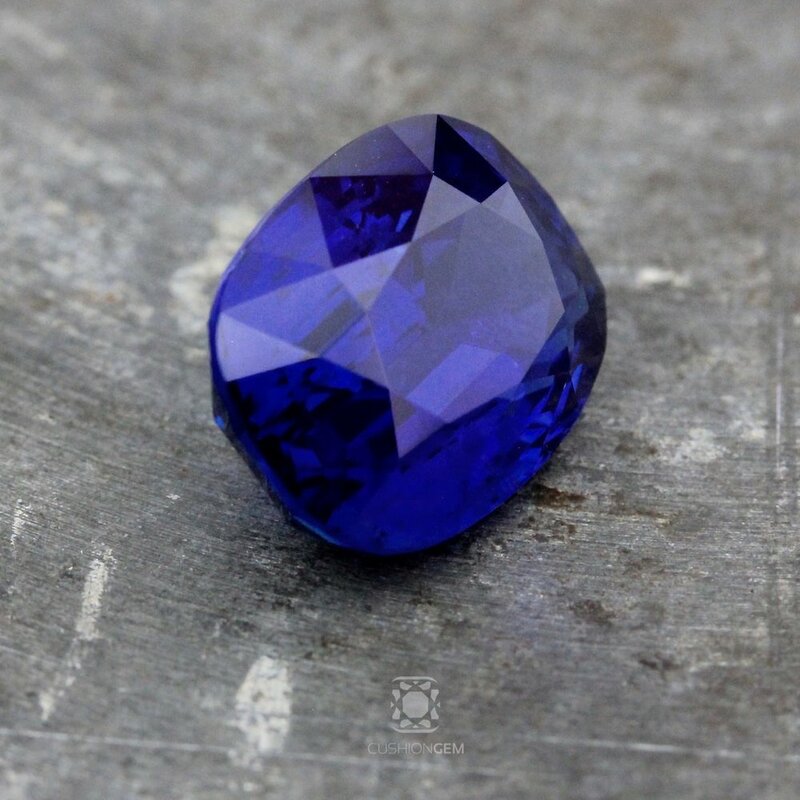 Back in the 1980’s the Elahera mines had the distinction of producing nearly 35% of Sri Lanka’s finest sapphires foremost amongst other locations. That prodigious output trickled to a halt more than 2 decades ago leaving veteran gem collectors nostalgic for the vivid medium toned vivid textured blue hues found only in sapphires of yore from this location. The 11 carat gem we are offering here is amongst the finest examples of gems sourced from this iconic location from where the most coveted sapphires once emerged. 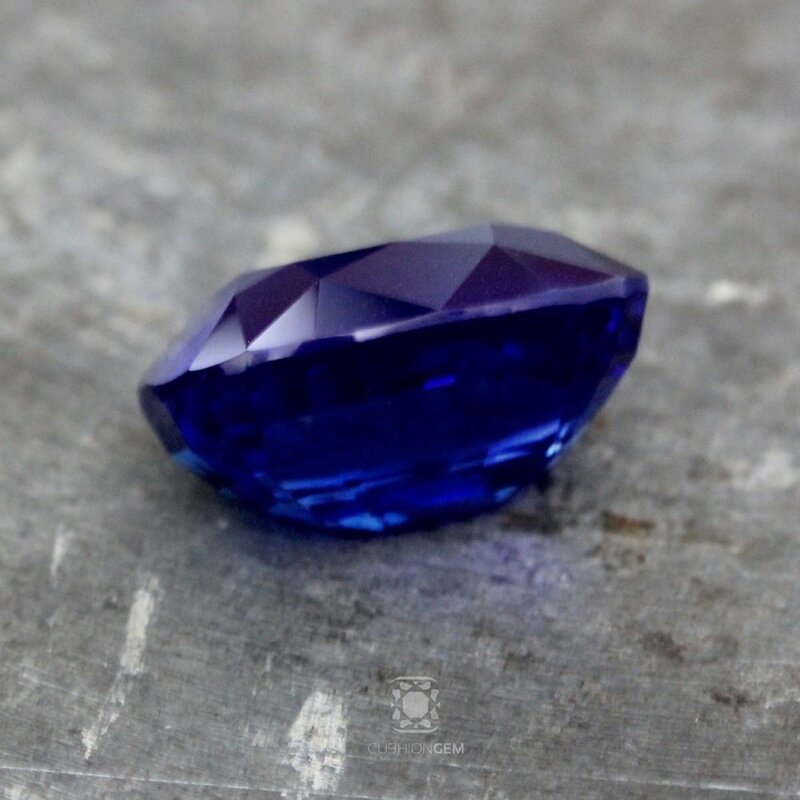 Interestingly, the Elahera mine produced some fine gems that have a similar characteristic found in gems from Kashmir and that is combining a vivid color with a velvety texture without dulling the gems radiance. Adding to this gems inherent pedigree is the cutting care taken by Jerrold Green, master cutter and proprietor of Reginald C. Miller lapidaries who optimized the gems cushion shape allowing for a hybrid of his signature "ordered" style along with the best elements of native faceting. Jerrold Green - artist, master cutter and proprietor Reginald C. Miller, Lapidary. Cushion Gem is proud to be the exclusive source of gems signed & cut by Reginald C. Miller, Lapidary where the artist-cutter Jerrold Green and his team continue to make cutting history. It's an honor to present a gemstone of such rarity, beauty and pedigree, whose wondrous journey from mother earth to the storied cutting wheel of the trades most respected cutter will certainly continue under the stewardship of a wise collector accustomed to the finest nature offers.